With the development of tropical varieties, cauliflower cultivation has spread to the non traditional areas in South India including Karnataka and Tamil Nadu. The high range regions of Kerala offers ample scope for the cultivation of cole crops, which in turn would reduce the consumer dependence on supply from neighbouring states. 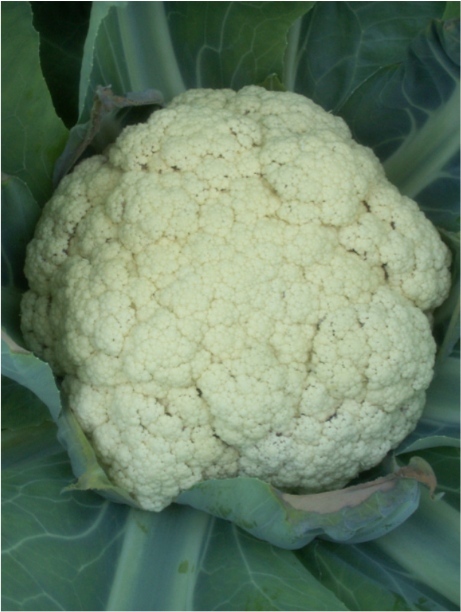 A temperature range of 15-21°C is considered as optimum for growth and curd formation of cauliflower. Temperature below 10°C during growth delays maturity resulting in the formation of undersized buttons, whereas high temperature will result in yellowish leafy curds. Well drained sandy loam to clay loam soils rich in organic matter with a pH range of 5.5-6.5 is considered as optimum for growing cauliflower. Since it is a cool season crop, sowing is to be done from Oct – Nov. Seeds are to be sown in raised nursery beds of size 3.0 m x 0.6 m and 10-15 cm height. Seed rate is 600-750 g/ha. Prior to sowing seeds are treated with fungal culture of Trichoderma viride (4 g/ kg of seed) or Thiram (3g/ kg of seed) to avoid damage from damping off disease. Sow the seeds thinly in lines spaced at 5-7 cm distance at a depth of 1-2 cm and the beds are to be covered with dry straw or grass to maintain required temperature and moisture. Irrigate with a rose can daily. Three to five week old seedlings are used for transplanting. Main field is prepared by three or four ploughings. Seedlings are transplanted at a spacing of 60 x 45 cm. Transplanting should be done preferably in the morning or late evening. Before transplanting, the roots of the seedlings are dipped in a solution of bavistin (2g/litre). Irrigation should be given immediately after transplanting. Apply FYM or compost @ 25 t/ha and fertilizers @ 150:100:125 N:P2O5:K2O kg/ha. Apply full dose of P2O5 and half dose of N and K2O before transplanting and remaining N and K one month after transplanting. Adequate supply of moisture is required both during growing and curding phase to ensure even growth and proper development of curds. First irrigation is given just after transplanting of seedlings and subsequent irrigations are given at an interval of 8-10 days depending upon the season and soil conditions. Keep the field free from weeds by 2-3 hand weedings. Also carry out 1-2 very shallow hoeing without injuring the roots to remove the weeds and also to loosen the soil for better aeration. In order to produce large sized curds, earth up the plant one month after transplanting. At the time of earthing up the plants are supported with soil to avoid toppling of the plant during head formation. Cauliflower curds exposed to direct sun turn yellow and loose flavour. Blanching is the operation protecting the curds from direct sunlight by covering them with leaves. In some self blanching varieties the curd remains naturally protected and surrounded by inner whorls of leaves. The caterpillars feed on the leaf epidermis and later make holes in the leaves. Severely affected leaves are completely skeletonised. 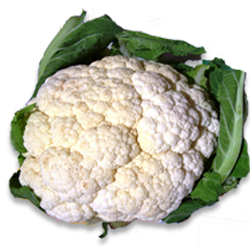 It is one of the most serious pests of cauliflower grown under comparatively high temperature conditions. Control: Spraying the crop with malathion (0.1%) gives excellent control of the larvae. 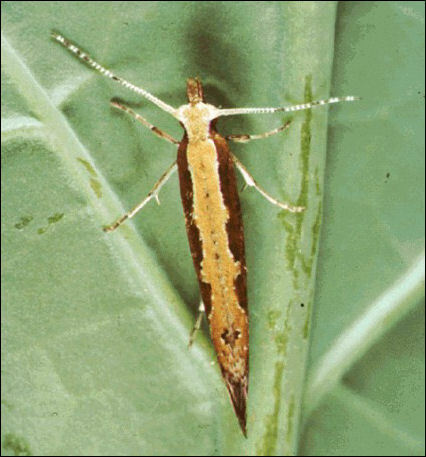 Trap cropping with mustard attracts the pest population towards it, which can be destroyed by spraying dichlorvos (1ml/litre). Symptom starts as circular water-soaked areas, which becomes soft and watery as the disease progresses. The fungus eventually colonizes the cabbage head and produces large, black, seed like structures. This fungus can cause serious losses in the field, in storage, and under transit and market conditions. 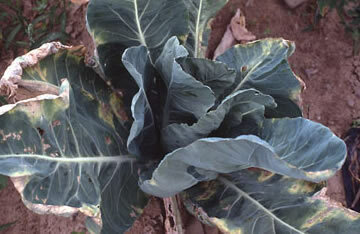 Control: Avoid planting cabbage and other susceptible crops in fields infested with white mold. Mechanical injuries to flower heads during harvesting operations should be avoided. The infected tissue turns pale green yellow, which later becomes brown and dies. Affected areas enlarge and severely affected leaves may drop off. The veins in infected leaves, stems, and roots become black. The heads of the infected plants remain small and its quality is reduced making it unfit for marketing. Control: Avoid continuous cropping of crucifers in the same field. Use black rot tolerant varieties. Treat the seeds with agrimycin-100 (100ppm) or streptocycline (100ppm). Planting should be done on raised beds to facilitate drainage. Remove and destroy affected plants. Cauliflower is ready for harvest at 90-120 days after planting. The curds should be harvested promptly when they are of full size but still compact, white and smooth. Delayed harvesting results in the curds turning loose, leafy and ricey. The curds are to be harvested by bending and cutting off the stalk well below the curd with a sharp cutting knife. Harvest with great care and do not remove the curd by snapping or twisting as it causes damage to the curd. Several harvesting will be necessary in the field, as all the curd do not mature uniformly at the same time. Harvested produce should always be stored in shade before packing. Average yield obtained from early varieties is 6-10 t/ha. Mid season varieties, yield 12-20 t/ha while the yield of late types is 20-30 t/ha.